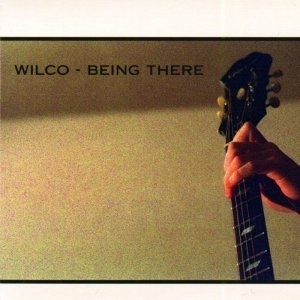 There we go, this is the Wilco that I know. The “alt” definitely outweighs the “country” on Being There, the group’s second abum. Today is Day 2 of Wilco Week, and I may have found a new favorite Wilco record—well, technically, two new favorites. Being There is a double album with nineteen songs in total, but only clocks in at an hour and seventeen minutes. I’ve discovered something today. There is no limit to my enjoyment of Wilco. I listened to nineteen songs back-to-back, and never got sick of it. It’s great hearing all of this material that’s new to me from a band that I love. Tweedy and company pump up the tempo a bit on Being There, compared to A.M., at least. While they don’t abandon their country roots, they definitely tone down the southern influence. In fact, Misunderstood, as the name implies, sounds less like it was created by an alt-country band, than a negative indie-fuzz-rock band. With this record, it appears that Wilco begins making the transformation into the band that would go on to make Yankee Hotel Foxtrot, which is indisputably one of the greatest records ever made. With darker phrases like “I guess all this history/is just a mystery/to me” on Hotel Arizona, it’s easy to see Tweedy beginning to drift towards the darker and more abstract lyrics that he would sing later in his career. Being There really impressed me. I may even like it better than the legendary YHF. I’ll definitely have to give it a few more listens before I can make a decision of that much importance, but the fact that I’m even considering it to be at that level shows that it’s pretty freaking good too. ← Day 100: Wilco – A.M.